Have you heard the talk about bone broth for dogs? I feel like it’s been popping up everywhere lately, yet it’s been around forever. I must admit I didn’t know much about it, having never researched it as a possible nutrition source for any of my dogs. Why? I have no idea and it’s as simple as that!! So what’s changed? 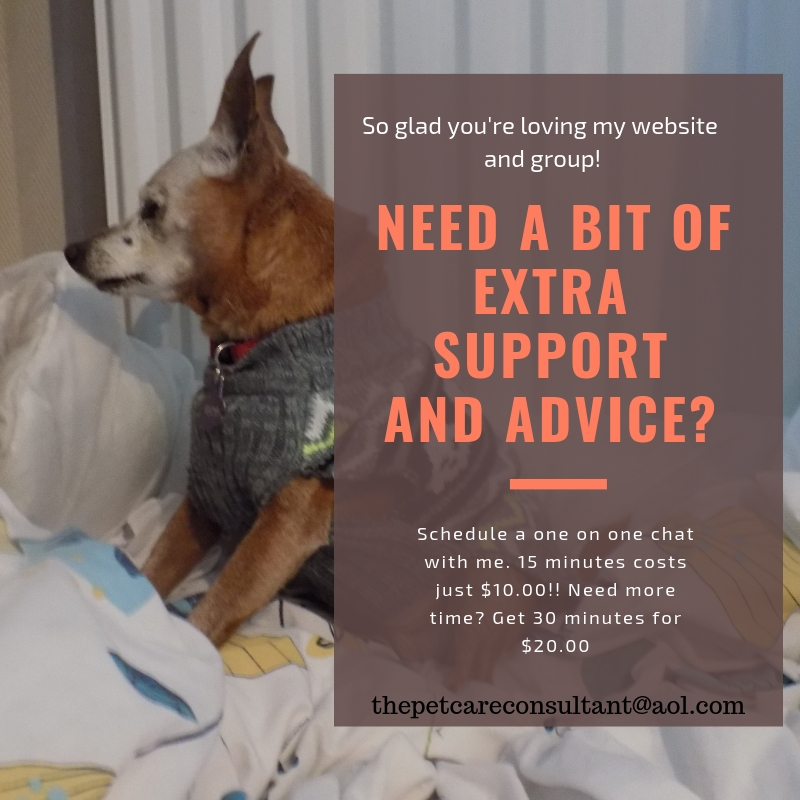 A few months ago I started a Facebook group called Senior Dog Care Club. It is a place where parents of senior dogs get together and ask for advice, share experiences, offer help and even just vent. 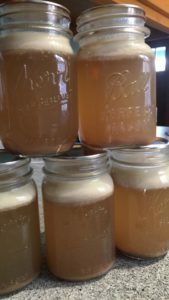 Bone broth is something that’s talked quite a bit about as something very helpful for their dogs, so it only makes sense for me to write about it if it can help others. After all, that’s my entire goal not only with the group, but my Caring For a Senior Dog website as well. It is the liquid left over after simmering raw or cooked bones for several hours. Yep that’s it. It couldn’t be easier to make just throw some bones, water, and apple cider vinegar into a crock pot and let it simmer. Don’t worry there’s a recipe below. It’s been called an immune boosting super food, extremely nutritious, easily digestible, chock full of vitamins, minerals and a whole lot more. Can’t I buy readymade beef or chicken stock? Surely it’s the same! by buying the bones yourself can you know the quality of the product you will be producing. Also, the stock is cooked at high temperature for a short period of time, which cannot provide the same nutrition as a bone broth that uses only bones, vinegar and water and is slow cooked for several hours. It is not a replacement for a nutritious balanced diet but a boost when needed, and a supplement that can be added to your dog’s regular diet. When is bone broth helpful? How much to give and how often? It varies depending on the circumstances. Some users give it to their dogs every day, some twice a day and others just as a boost when their appetite isn’t what it should be. I always prefer to start small and see how things go, so one spoon on one meal would be right for me. suffers from pancreatitis. I was sure that would be his response, but I wanted to confirm. Bone broth is loaded with glucosamine, chondroitin, gelatine and hyaluronic acid – all joint protecting compounds. poor diet, high stress and too much bacteria can make existing holes bigger or create new ones, and that’s what is known as leaky gut. When things pass through the bigger holes that shouldn’t, the body sees them as foreign invaders and starts attacking them, causing allergies and food sensitivities. Bone broth is loaded with gelatine that plugs/narrows the holes, and the glycine soothes the inflamed gut. If your dog isn’t always enthusiastic about eating his kibble, adding some bone broth to moisten it may get him interested. It’s also an easy way to increase the nutrition content. We all know how a sick dog can lose interest in eating or drinking, and that can be very dangerous, especially in a senior dog. Weight loss, especially if he’s already underweight, and the possibility of dehydration are very worrying consequences. 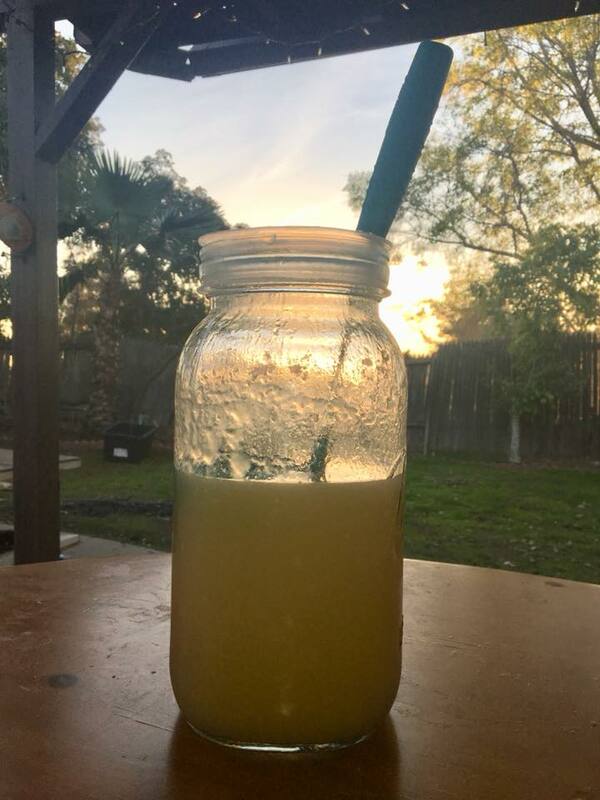 Bone broth will not only provide much needed nutrients until he’s feeling better, it will keep him hydrated. 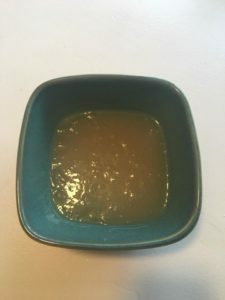 Along the lines of what I just mentioned about nourishing a sick dog, if you’re dealing with a finicky eater or a dog who’s having trouble eating, adding some bone broth to his diet may spark some interest. Think about microwaving the food for a few seconds to release the smells, it helps my dog eat. Bone broth contains the vitamins and minerals used by the immune system to fight off infection. The liver and kidneys can be quite overworked, having to process the pollutants and chemicals faced on a daily basis. The amino acid glycine found in bone broth, helps detox those organs. The benefits of bone broth are not restricted to the internal, but also help keep your dog’s fur, skin and nails in excellent condition. My research turned up so many different recipes, I stopped counting at 9. To be fair they were all pretty much the same with slight variations, so I combined them into this one recipe. Raw, fresh, frozen or cooked bones from the butcher or your own meals (chicken, turkey, beef, duck, goose). I did read about someone who uses a whole organic chicken, cuts the chicken off to give the dogs after it’s been simmering for a couple of hours, then leaves the carcass to simmer another 20 hours or so. Raw apple cider vinegar/regular vinegar/lemon juice – it’s up to you but ACV is most often used. The most recommended way to make the broth is to use a crock pot because of the number of hours it needs to simmer. You can of course use a pot on the stove, but you couldn’t leave it there unattended so a crock pot is the safest. didn’t add enough vinegar so add a little more next time. The bone broth will still be beneficial and packed full of goodness. If kept in the fridge it must be consumed within 3-4 days, frozen it can last up to one year. If you do freeze it pour into ice cube trays for easy to use portion sizes and for a treat on a hot day. What about freezing some in a Kong? That will keep your dog busy for a long time!! Sarah-Jane England, a member of a FB group I belong to, kindly allowed me to use this image. She adds powdered pig gelatin to the broth, spoons into molds and lets it set in the fridge. It takes about one hour then she freezes them in a bag and gives one a day to her dog. 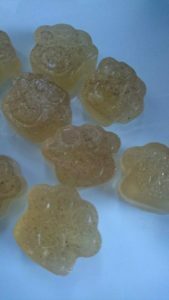 Each mold weighs 6 grams and either gives it whole or heats it a few seconds until it turns to liquid, then adds to his food. Here are a few articles you may find interesting if you’d like to read more about it. Well there you have it. 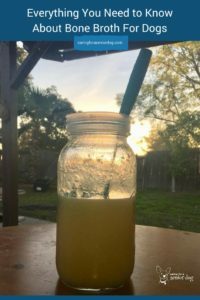 A super simple recipe to make, but packed full of healing ingredients your dog will benefit tremendously from. Remember to check with your vet first though to discuss its suitability for your dog. Bring along the recipe in case he’s not familiar with it. I was wondering if it would hurt to cook with a pressure cooker, or would it take away from the goodness of the broth. Yes there are people who use a pressure cooker…big time saver. You state the bones will be too soft to give the dogs. What if I put them in bags in the fridge or freezer? Will they be good to give them after a couple of days? Great question but a cooked bone is still a cooked bone with a risk of splintering because they have softened during the cooking process. Of course like with everything there are plenty who believe they are safe. Personally if I know there is a risk I’d rather not take it.